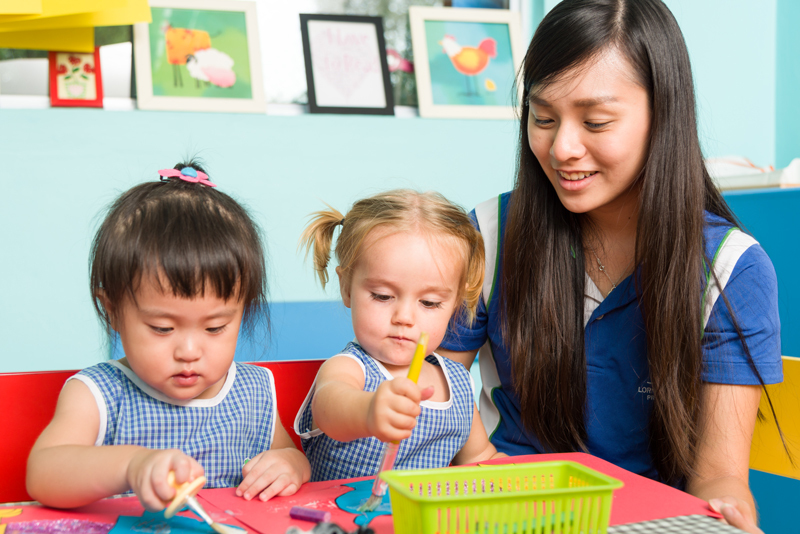 Established in 1980, Lorna Whiston Schools has built a reputation for high-quality education and teaching excellence across Singapore, Malaysia and Hong Kong with their signature English Enrichment and Speech & Drama programmes, as well as their Preschools. As a young teacher, Lorna taught in the UK before coming to Malaysia and Singapore to teach with the British Armed Forces. Later she taught at international schools in Singapore and became a School Principal in 1971. In 1980, Lorna Whiston opened the first Lorna Whiston centre with the aim of improving the standard of English language among Singaporean students. With an unwavering commitment to excellence, they spare no expense to ensure that their students get the very best in terms of educational opportunities making a difference to the lives of thousands of children island-wide. Today, Lorna Whiston’s curriculum team is headed up by Helen Marjan, a tutor and supervisor on The University of York’s highly regarded Masters level program for Teaching English to Young Learners for more than 10 years. Lorna Whiston’s curriculum is based on the latest research and is regularly upgraded. They provide a carefully researched, well-balanced early years program that encourages learning and discovery. They offer a stimulating, positive and nurturing learning environment which is the key to creating happy, motivated children who are eager to learn. By providing an interactive learning environment, children develop the confidence to explore and discover, question and create. This positive hands-on approach to learning is crucial in the formative years, when children’s first experiences at school can shape their whole future attitude towards learning. Lorna Whiston’s Preschool Programme offers a system of total bilingual immersion in both English and Mandarin. An English language teacher and a Mandarin language teacher lead every class throughout the day guiding the children so that they are immersed in the two languages naturally. All subjects are integrated by focusing on a special topic each week allowing children to understand the connections between individual subjects and how the topic relates to the wider world. Teachers continually monitor each child’s progress with parent teacher conferences and formal reports, each occurring twice a year. Developed over the past 25 years, children are encouraged and supported by teachers with ongoing reading assessments to make sure every child progresses at the right pace and develops a lifelong love of reading, preparing them well for primary school. Lorna Whiston preschools are located both on the West and East coast offering easy access for families across the island to flexible programmes from 7am to 7pm weekdays and Saturday mornings. 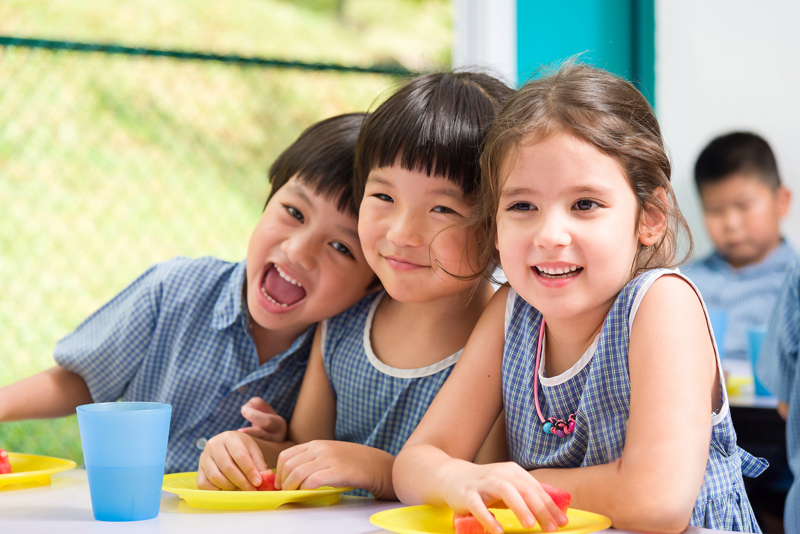 Preschool @ Winchester is an idyllic location in a beautiful old colonial black and white building with extensive outdoor play areas, while Preschool @ Kallang Wave is a brand-new, purpose built early years facility overlooking the Kallang River. Lorna Whiston’s teachers are all qualified and experienced professionals. Every teacher in the organization undergoes an additional 60 hours of training a year to ensure that their knowledge and skills are kept up to date. Their enrichment teachers are all graduates, moreover, they hold recognized teaching qualifications from their home countries. Fees: Contact the Lorna Whiston Preschools for more information on fees.